ST. LOUIS — Authorities are investigating the death of a Ferguson protester’s son as a suicide, although a message on social media posted by his mother has sparked assertions that it was a lynching. 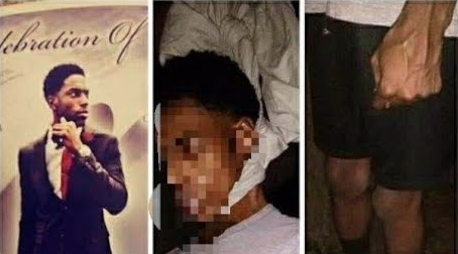 The message, which Facebook later removed, began trending on social media sites such as Twitter and Reddit, causing people online and in the community to press officials for more answers about the death of 24-year-old Danye Jones. 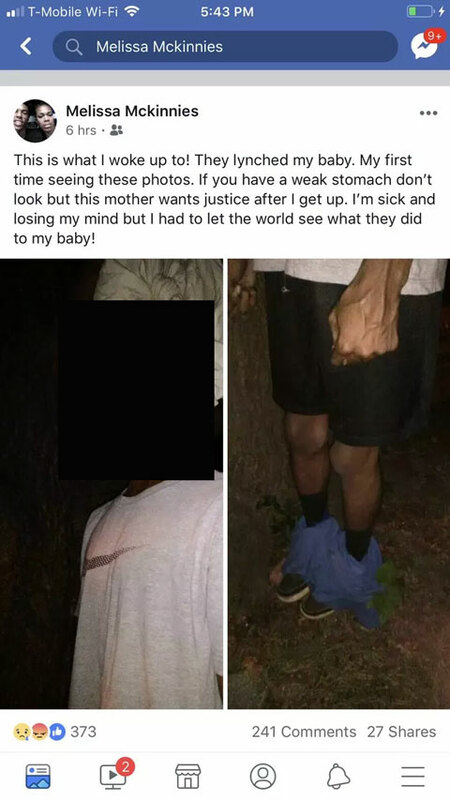 Ferguson activist who was having success in real estate, found hanging from a tree in his backyard with pants pulled down which was a symbol in Jim Crow lynchings to shame a victim. His body was found Oct. 17 near the north St. Louis County home he and his mother shared. St. Louis County police spokesman Shawn McGuire said Wednesday that Jones’ body was found in a wooded area behind the home. A police report lists “suicide” as the nature of the investigation. The medical examiner’s determination of the cause of death could take several weeks. Administrator Suzanne McCune said the office doesn’t issue preliminary findings. McKinnies does not have a listed phone number. But the Rev. Darryl Gray, a leading St. Louis activist who has met with McKinnies several times since her son’s death, confirmed McKinnies’ Facebook posting. Gray said it was Facebook, not McKinnies, who took it down. McKinnies was among thousands who took to the streets in Ferguson, Missouri, after Brown’s death on Aug. 9, 2014. Brown, a black and unarmed 18-year-old, was fatally shot by white officer Darren Wilson during a street confrontation. Wilson was not charged and later resigned, but the shooting led to months of protests and helped give rise to the Black Lives Matter movement. Grey said he was unaware of any evidence indicating foul play. But he said McKinnies and other activists from Ferguson are often harassed and threatened via text and social media. “She believes (Jones’ death) was meant as a message to her,” Gray said.